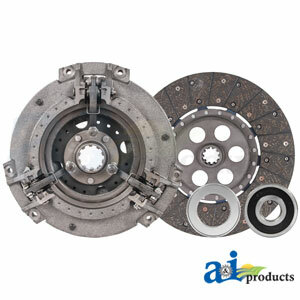 Kit Includes: Pressure Plate: 9", 3 lever, 6 spring, flat flywheel. Trans Disc: 9", organic, spring loaded. 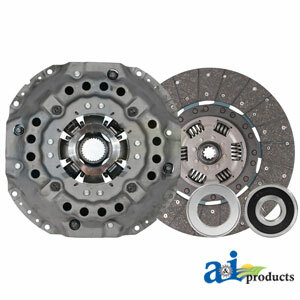 Kit Includes: Pressure Plate: 14”, 3 lever, w/ 2.048” flywheel step. Trans Disc: 14”, 8-button, spring loaded. 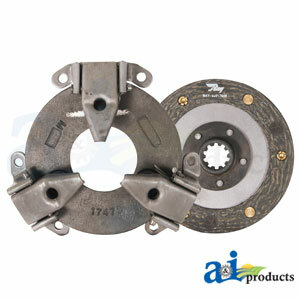 Kit Includes: Pressure Plate: 12”, pressed steel, w/o release plate. 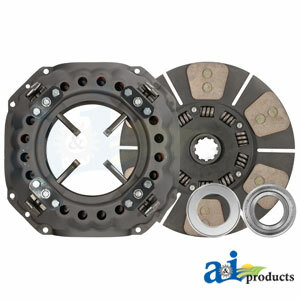 Trans Disc: 12”, organic, rigid. 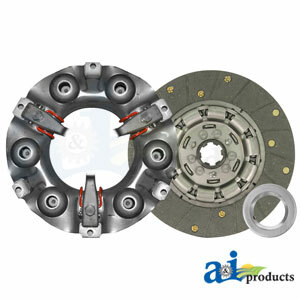 Included in the Kit: Pressure Plate: 9”, 3 lever, 6 spring, narrow type, .25” (w/ 1.188” flywheel step). Trans Disc: 9”, organic, spring loaded. 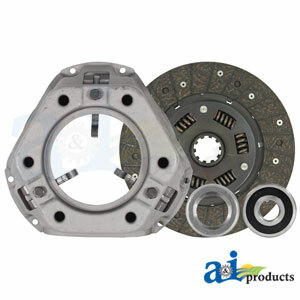 Kit Includes: Pressure Plate: 5.5”, 3 spring. Trans Disc: 5.5”. 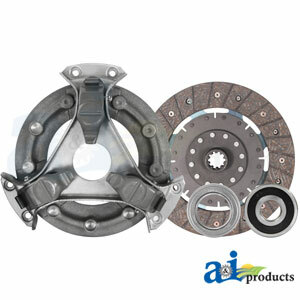 Kit Includes: Pressure Plate: 8.5”, 3 lever. Trans Disc: 8.5”. 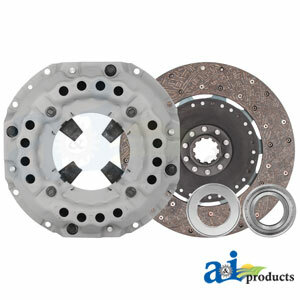 Kit Includes: Plate: 13”, Trans Disc: 13”. 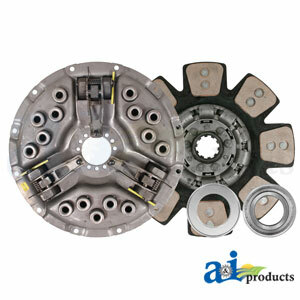 Kit Includes: Pressure Plate: 11”, 3 lever, cast iron, combined PTO, narrow fingers. Trans Disc: 11”, organic, solid.